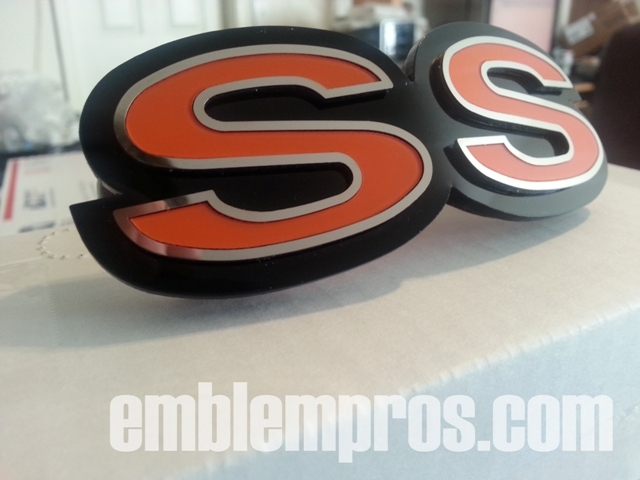 This is a for a retro SS emblem (2 "S"s) to mount to your Heritage Grille Mounting plate that we make (sold separately HERE). The frames are laser-cut from mirror stainless steel, and we fill the center sections with a color of your choice from the selections below. 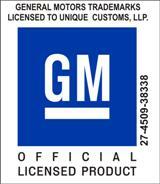 This is a GM licensed product that comes with 3M double-sided automotive tape pre-applied to the backside of the emblems. *NOTE - These emblems are shown applied to our base plate. This plate is sold separately, and is not included in this purchase. *NOTE - You can choose for us to apply these emblems onto your mounting base for you below.